CAIRO, April 11. /TASS/. Sudanese Prime Minister Mohamed Tahir Ayala, who assumed the post less than two months ago, has been arrested in Khartoum, the Al-Mashhad Al-Sudany news website reported on Thursday. According to the emerging reports, more than 100 people from the Sudanese President Omar al-Bashir’a team have been detained, including both incumbent and former top officials, such as head of the Republican Guard and former Defense Minister Abdel Rahim Mohammed Hussein, leader of the ruling National Congress party Ahmed Haroun, as well as former First Vice President Ali Osman Taha. 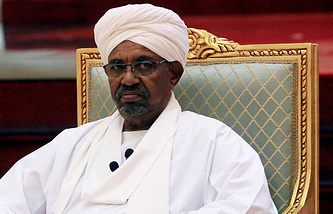 There are no accurate reports on the whereabouts of President Omar al-Bashir. According to some information, he has been placed under house arrest by the military who have staged the coup d’etat. There were also reports that he had fled the country. At the same time, the Al-Hadath TV channel says that his jet was grounded on Wednesday morning when the president tried to flee Sudan and find refuge in a neighboring country. The military has been expected to make an "important statement" as of this morning, however it’s been delayed for now. 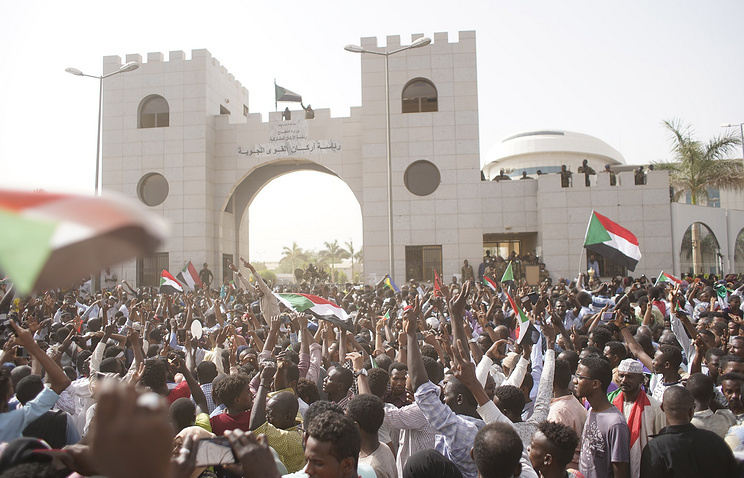 Some sources report that the reason for that is the uncertainty hanging over Sudan on who should lead the country during this transitional period.